Question: Why escalate to SYSDBA when one can shortcut directly to OSDBA? JAVA_ADMIN is a role in the Oracle DB which is granted to application accounts which wish to take advantage of Java integration. Given the recent US Anti-Trust go-ahead for the Oracle and Sun deal, this is likely to be an increasing phenomena. Additionally Java sand boxing gives Java a reputation for high security compared to C++. But because the role appears to be low privileged the JAVA_ADMIN role is potentially one of the more dangerous Roles in the Oracle database as it can actually run OS commands as the oracle software owner from the DB. As you will be aware the oracle software owner is a member of oinstall and osdba unix groups. These privileges can be used by JAVA_ADMIN to change the oracle unix password, shoot an oracle xterm back to the attacker’s machine, shovel an oracle shell back to the attacker using netcat -e, and if oracle has sudo, JAVA_ADMIN can act as root using sudo -u. This is not good news for OS based Audit OR audit systems that run as the Oracle UNIX user such as Audit Vault. Thankfully I can show you how to use Sentrigo Hedgehog to protect against this threat. HH runs as the sentrigo unix user so is outside of the control of the oracle user. So let’s get down to some examples. --Firstly create the user that is going to be escalated. 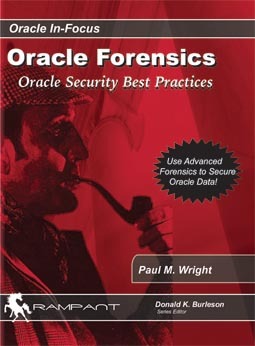 --Then the attacker can use this cipher text to change the server oracle unix password to boracle from the DB. Additionally an attacker with the JAVA_ADMIN role could shoot an xterm back to a remote machine or shovel a netcat shell back to their remote host using the -e switch. In later Linux distributions Netcat is compiled without the GAPING_SECURITY_HOLE option i.e. nc -e is removed. In that case it does not take too much initiative to write one’s own netcat to the OS using the same method as the previous CREATE ANY DIRECTORY paper used for overwriting the binary password file. The limits on what can be done with JAVA_ADMIN are in the imagination of the user. The key point now is how to secure against this? But one question remains >> how to identity that the javaproc existed once it has been dropped and who carried out those actions? >> this is the field of Java Forensics… which will have to wait till next time.. In the meantime It will be interesting to see the result of the European Anti Trust probe review on September 3rd as to whether a full 4 month investigation into the Oracle Sun deal should take place BEFORE the Oracle/Sun deal is given the Global go ahead.